BoogieBaby® Blanket Babies™ – Kim's Kreations, Inc. The Kid Friendly® BoogieBaby® Blanket Babies™ are Born To Boogie® and make great playmates. Doll comes with Kid Friendly® directions to enhance a child’s emotional balance. The Kid Friendly® BoogieBaby® Blanket Babies™ are Born To Boogie® and make great playmates. 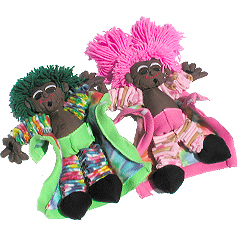 All BoogieBaby® dolls come with Kid Friendly® directions to enhance a child’s emotional balance. Material and color may vary. Doll outfit may ship in color not shown.